Bulgaria will hold parliamentary elections on 5 October following the resignation of the Bulgarian government in July. In an interview with LSEE’s Tena Prelec and EUROPP’s editor Stuart Brown, Maria Spirova discusses the protests which have taken place in Bulgaria since 2013, the party politics of the country, and the bank crisis which underpinned the resignation of the government. Stay tuned: the second part of the interview will be published next week. What is the political background to the upcoming elections in October? Party politics in Bulgaria has become completely nonsensical. In their campaigns, parties essentially say exactly the same things. There has been some slow progress since 2009, however we have got to a situation where politics in terms of the exchange of opposing world views has completely imploded. There is no actual difference if you follow the campaign messages of the different Bulgarian parties. As such, it has become a battle of blame: “Who has to take the blame for previously and currently expected failings?” It is really no longer about “what needs to happen next”, or “what sort of reforms are needed for the country” – it has become about the redistribution of the spheres of influence within what is left of the state structure. As such, it is very difficult for Bulgarian citizens to protest against a single party, a specific regime or a specific government policy. In the end, what ended up unlocking unrest was electricity bills, which led to protests against the government of Boyko Borisov in 2013. This is, I suppose, completely embarrassing, but what actually happens in Bulgaria is that in the winter the vast majority of families, with two working people within the family nucleus, are faced with energy bills that they cannot pay even with their whole salaries. We are not talking about disposable income at all. Among those who have problems making ends meet I can also quote my mother and my father, who are academics, and thus have positions which would never be associated in a western country with abject poverty. So when it came down to absolutely impossible bills, obviously people were on the streets vaguely protesting against the collusion between corporations and government. In a working capitalist system, the market regulates itself to the point where it is not predatory, or a government makes sure that everybody is protected. In Bulgaria neither of these things happen: energy prices are linked to supra-governmental interests and the consumer does not feature in this process at all, not even on the surface. As such, what took people on to the streets was not the sort of protest that could form a political expression for or against a particular party, but a protest against the basic realities of life in the country. People were cold, they were being deprived of their entire salaries and they decided that “whatever needs to happen for this to stop needs to happen now”. It was almost a French-revolution like scenario where the people were demanding food and somebody is telling you to eat cake. This, however, eventually resulted in the resignation of the government of Boyko Borisov in 2013. The government and indeed the Prime Minister himself had been implicated in a number of scandals and abuses of power. 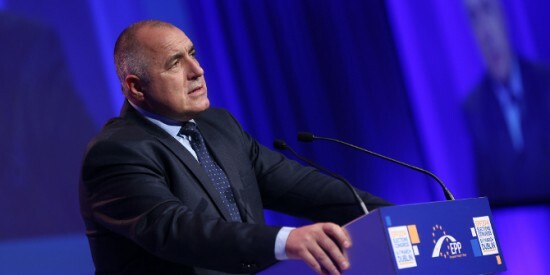 Borisov once remarked that the country’s situation was “not my fault, I have to work with faulty material” (meaning the nation) – one in a series of crass remarks. None of this impressed the Bulgarian public, although it was not so much the accusations of criminality which led to the protests. Nobody in Bulgaria expects politicians to be free from criminality: at best they expect politicians to at least be discrete about it if possible. What really generated civil unrest was the fact that it no longer became possible to survive without paying attention to politics. In a sense many Bulgarians lived in hope that if they didn’t pay attention to politics it might all just go away – or that they’d be able to live in a kind of vacuum in which politicians might be up to no good, but citizens still have basic requirements such as food. Instead Bulgarians found themselves in a position where their children might not survive the winter and this is the reason why we experienced such a large outpouring of anger. So the government chose at this point to resign. They didn’t feel the need to resign under any other situation. But it allowed Borisov to say – and he wiped a few tears away while he said it – that he didn’t want any bloodshed on his hands. In a sense, he saw a good exit for himself at that moment because he was presiding over a crisis that was entirely unmanageable. He had no ability to alter the price situation, he needed an exit and the anger of the protesters provided him with a good one. In this way he managed to transform his downfall into a situation in which he managed to conserve all of the political energies that still worked in his favour – and he is currently in place to use them to very good effect. Following the resignation of the Borisov government, new elections in 2013 eventually produced a new government led by Plamen Oresharski, with Borisov’s party (GERB) now in opposition. However the new government then resigned in July this year following a banking crisis – in turn bringing about the upcoming elections in October. How did this banking crisis play out? The Corporate Commercial Bank has been a sort of central reservoir of state-accrued money. The fact that the government did not diversify its holdings and the extent to which they were concentrated in this bank has given the impression – which is widely acknowledged in Bulgarian society – that whoever owns this bank also ‘owns’ the country. The rise of this bank happened, again, at the time when Boyko Borisov first came to power. It then proceeded to bloat exponentially over the following years, as after Borisov we basically had governments of compromise – by which I mean not popular compromise, but compromise between different stakeholders in the government. There are now inter-dependencies between government and economic interests which are so difficult to break that it almost doesn’t matter who is in power. The South Stream pipeline is a good example. Bulgaria’s Prime Minister appeared on television to say that the construction of South Stream had been frozen, at the request of the European Union, yet on literally the same day the State Gazette kept publishing public tenders on the subject. Clearly we are living in a situation in which no laws – whether Bulgarian, international or otherwise – actually stops this machine. The political establishment still believes that it can work in a complete vacuum, in complete isolation – because in a sense Bulgaria is not the most important country in the EU or in the region. At least this was the case until recently, I think now this attitude is changing and the EU is wakening up to the fact that what is happening in Bulgaria is important and these issues have been ignored for a very long time. But up until this point, the political establishment in Bulgaria could really get away with anything. In 2009 Bulgaria actually submitted to Europol that there was no organised crime in the country – how untouchable must you feel and how divorced from reality must you be to say something like this? So the collapse of the Corporate Commercial Bank, which experienced a bank run and then a temporary closure in June, was also linked to competition for influence between wealthy individuals who had previously worked in sync for a long time. The bank run began after Delyan Peevski, who has built up a media empire, claimed Tsvetan Vassilev, the largest shareholder in the bank, had tried to kill him. I think Vassilev and Peevski were very good friends for a very long time before this. However, Peevski had been the subject of protests in June 2013 after he was elected head of the national security agency, which forced Oresharski’s government to reverse the decision. Since Peevski became, in the recent outburst of protests, the focus of great public hatred and international shaming, I think this disrupted a harmonious co-existence and interdependence that they had. Perhaps there is even more to it than that. To be honest, I have reached a level of paranoia that even makes me wonder whether all this might be staged again: a bank meltdown – during an interim government with very limited accountability – is the best way to solicit public funds to pay up all the greedy oligarchs and shady people who have overinvested in that bank. In any case, I do believe that so far the media and civil society have not even scratched the surface of what is going on. This entry was posted in Bulgaria, Current affairs, Elections and tagged Boyko Borisov, Bulgaria, Bulgarian elections 2014, Delyan Peevski, Elections, Maria Spirova, Stuart Brown, Tsvetan Vasilev. Bookmark the permalink.